It's no longer a secret that I am an avid skincare fan, as I believe healthy skin is the result of a good skin care regimen. Skin care plays an important role in order to achieve that flawless skin which we all long for. A good skin care regimen has different steps and exfoliation is one of them. 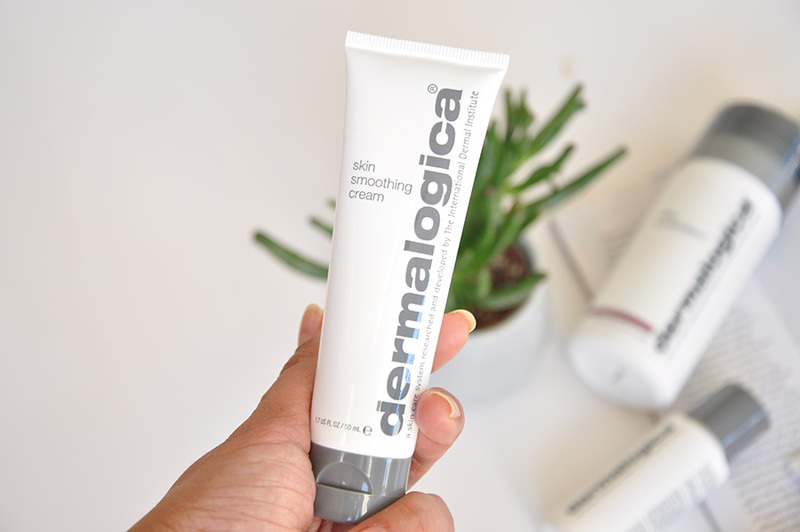 An exfoliator is a vital part of any good skin care routine. Not it only removes dirt and impurities from our skin, it also rejuvenates skin by removing dead skin cells. 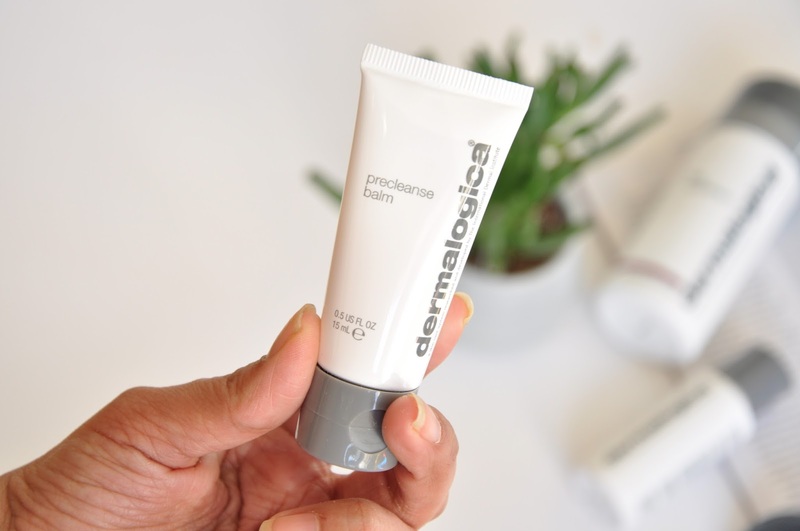 Today I am talking about an exfoliator which unlike others is a powder!! This highly-active resurfacer delivers your smoothest skin ever, and helps fight the biochemical and environmental triggers known to accelerate skin aging. The advanced powder formula activates upon contact with water, releasing powerful enzymes, skin-smoothing alpha hydroxy acids and anti-pollution technology. Activated Binchotan Charcoal purifies the skin, helping to adsorb environmental toxins from deep within the pores, while Niacinamide, Red Algae and Tara Fruit Extract help guard against the damaging effects of pollution. 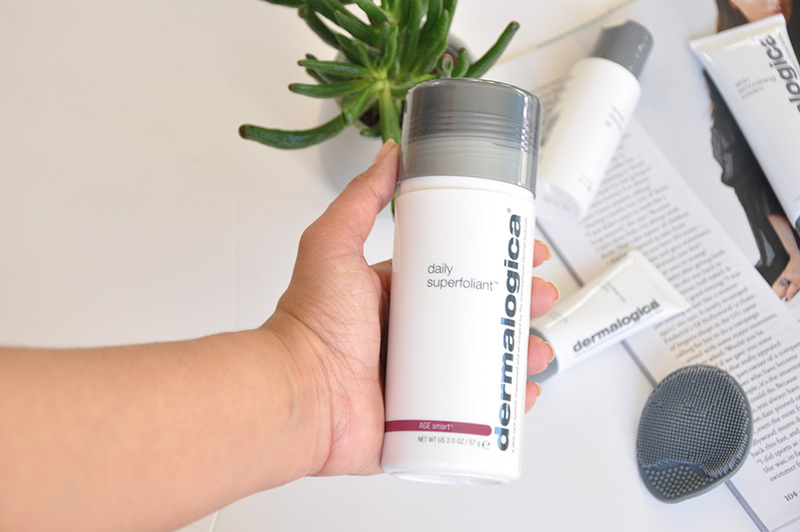 Daily Superfoliant activates upon contact with water, releasing a trio of powerful enzymes, skin-resurfacing alpha hydroxy acids and anti-pollution technology. 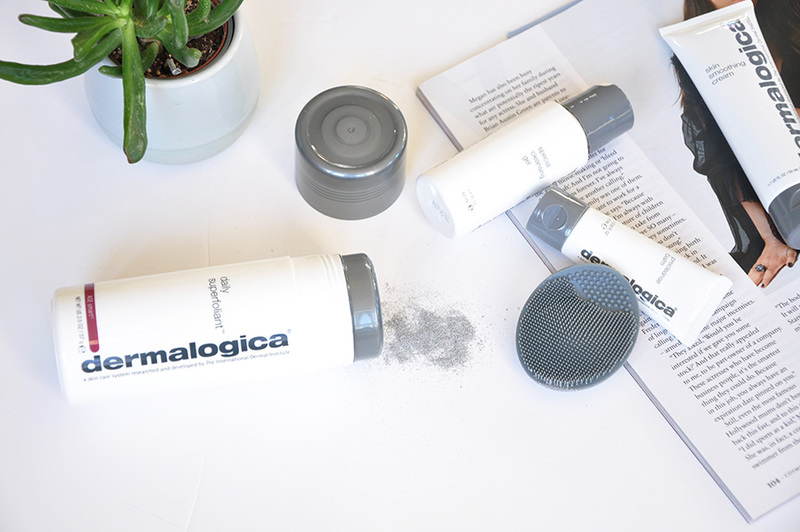 Activated Binchotan Charcoal purifies the skin, helping to adsorb environmental toxins from deep within the pores, while Niacinamide, Red Algae and Tara Fruit Extract help guard against the damaging effects of pollution. Resurfaces and deep cleanses for your smoothest skin ever. Absorbs environmental pollutants and helps detoxify pores. Helps fight pollution triggers that lead to premature skin aging. I can't say enough good things about this product! Before receiving this, I was sceptical as I have never used anything like it. I have really sensitive skin and have been using this every other day, and have to say it's fantastic!! After using it noticed a difference in my skin texture, it’s smooth, soft and even. Pore size is smaller and less noticeable all around, and fewer breakouts. It leaves my skin brighter and smoother than ever. Can't wait to see the results in the months ahead. The smell is pretty natural but also reminds me of a spa type smell. The texture is thicker and my faces gets more coverage because it is not as gritty. This product is an incredibly life changing addition to my regimen. I highly recommend this to be added to everyone's routine. This medium-weight moisturiser helps combat dry skin, reduce the signs of premature ageing, and shield skin from environmental assaults. Rich emollients help shield against dehydration and pollution as Silk Amino Acids help smooth and improve skin texture. Formulated without artificial fragrances and colours. So in love with this product! My skin feels amazing and sinks into skin really well. The formula is lovely, and it leaves your skin feeling so soft and smooth! However I think it works much better as a night cream. I find it a little too thick for during the day. It also smells 'clean' which I think is the cucumber. After using the exfoliant I moisturised my skin with this and it's never felt softer. A deep-cleansing balm-to-oil cleanser that melts into the skin and gently removes excess oil, sunscreen, makeup and pollutants from the skin. It's great helps remove excess dirt and makeup from my skin. I really love the fact that it's in a balm! The rich creamy formula is easy to disperse, the oil can’t run throw your fingers. Leaving the skin feeling soft and prepped for cleansing. It melts to the touch and you can feel impurities being pulled away. Removes the toughest eye makeup with ease and is also very gentle. The cleansing mitt is great too! Helps get all the grime and dirt out while also lightly exfoliating. I will be adding this to my routine! 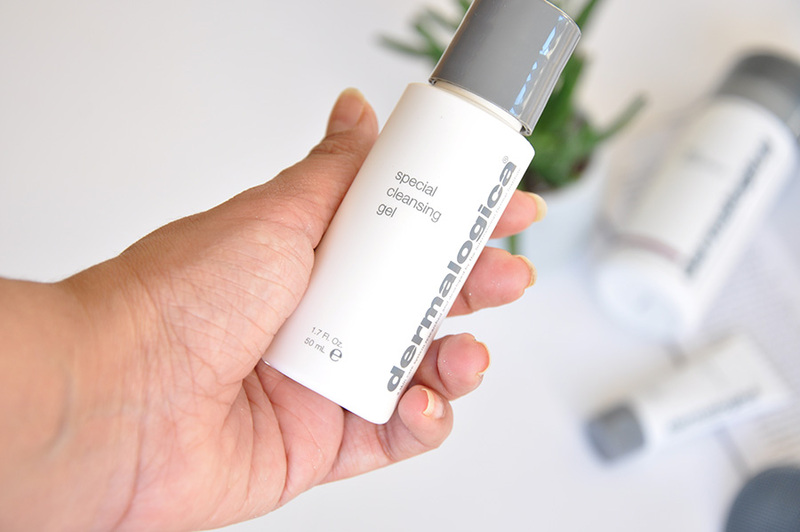 This soap-free, foaming gel cleanser with a refreshing lather thoroughly removes impurities without disturbing the skin's natural moisture balance. Calming Balm Mint and Lavender extracts soothe the skin, while natural Quillaja Saponaria gently foams away toxins and debris for a super-clean surface. Formulated without artificial fragrances and colours. I used this cleanser when I use my Clairsonic. It's a great cleanser that doesn't strip my skin and the consistency of the gel works really well with the brush. I have sensitive skin and most cleansers have irritated my skin. This is gentle, smells great and perfect for my skin. A little goes a long way. *These products were sent to me complimentary from Influenster and Dermalogica for testing purposes. Opinions are my own – honest & unbiased!